Accessibility: Rose Island is accessible by ferry from Newport or Jamestown. 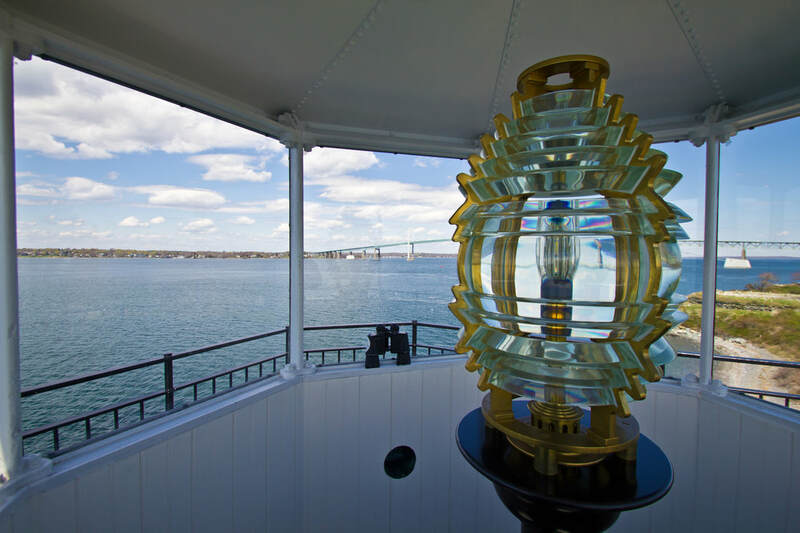 Check the website of the Rose Island Lighthouse Foundation for directions and information on tours and overnight stays. 2013: Replica (acrylic) sixth-order Fresnel lens, created by Artworks-Florida (below). ​Characteristic: Flashing white every 6 seconds.